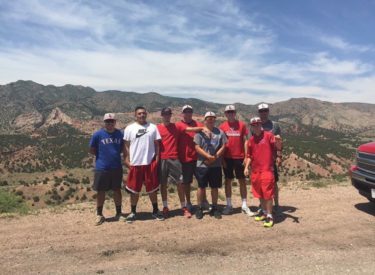 The Liberal Rattler 18U team took two in Guymon Wednesday evening. Liberal won 16-4 and 14-1. In the 16-4 win, Liberal scored three in the first and second before plating 10 in the third. Cesar Burciaga and Kaleb Wilmes both tripled. Dylan Thompson and Alex Yanez doubled. Yanez and Burciaga had four RBI’s a piece. Elijah McCarter, Burciaga, and Thompson had two hits a piece. In the 14-1 game, Liberal had four in the first and fourth and three in the second and third. Braxton Hyde was 3-3 and Kaleb Wilmes and Alex Yanez had two hits a piece. Guymon had six errors. Liberal is 20-4 and plays in the Hays tournament this weekend.